We can look after your children so you can discover the city peacefully. For your convenience, we provide room service 24 hours. This restaurant offers sea views and international specialties. With views of the pool, this restaurant offers fish and chips cuisine and serves dinner. The hotel has a billiard room. Provision of the tennis course with the loan of snowshoes and balls. Enjoy a magnificent quad ride to discover the region. Our hotel will organize group fitness classes that include several activity formats. An ideal setting for your professional events. : A very nice place with e serene environment for a family getaway. Wonderful foods, exemplary service, lots of activities and games both for kids and adults as well as a perfect beach for the ultimate sunbathing experience. The staff are friendly and speak a variety of languages. I strongly recommend this hotel for anyone traveling to Egypt. You can't go wrong with EMERALD. : This hotel and Aqua park are one of the best I've stayed in for seeing the amazing fish within walking distance so you don't need to be a champion swimmer. Lifeguards on the beach are also very attentive which is reassuring. The variety of water slides is fantastic although the water is a little cold but it's fine once you brave it and get in. Beach facilities /toilet was always spotless. Camels on the beach, great daytime snacks but could offer more. The BBQ restaurant near the water park does the BEST chicken. The room was spacious and the bed huge and spotless. Great wardrobe space and fabulous sea view. The reception staff and the bar staff were super and a credit to the hotel. The only things that need improving to make this place amazing is the pool table area (need to buy new pool ques and chalk. Children's area should be somewhere else with maybe 1 pool table as not all adults want children running round and some good music in the pool table area would be great but noise from children's games is awful. Also sadly the food variety/quality wasn't great and with just a little more flavour it could be great. Love the pancakes but only saw them once. Too many cakes that all taste the same. Just have a few good quality would be better. Saying that we have already booked to come again in March and can't wait. 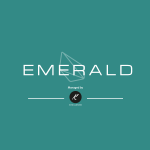 : Had a really good time at the emerald i found a good deal 268 for 1 week all inclusive there wasnt a lot reviews about this hotel and the one there had where really old and not that good . The emerald is not the best hotel ive stayed in but my stay was great room cleaned every day by ayman nothing was to much to ask water an juice in room everyday i was happy with it was olny in there to sleep . There was only a couple more British people bu not many food was ok you have to be really fussy if you dont find anything but they will try to please .my friend only eats chips and they cooked chips for her everymeal but the selection of food isn't to bad chicken beef fish pasta salad vegetables an desserts . I enjoyed the food the hotel its self is nice staff are amazing and make this hotel each and everyone off them a special thank you to mohammed the bar an beverages manager who look after us and mohammed the a la carte restaurant manager who made my birthday really special thank you . I really enjoyed my stay with you all i would go back to this hotel if i paid about the same price for it .